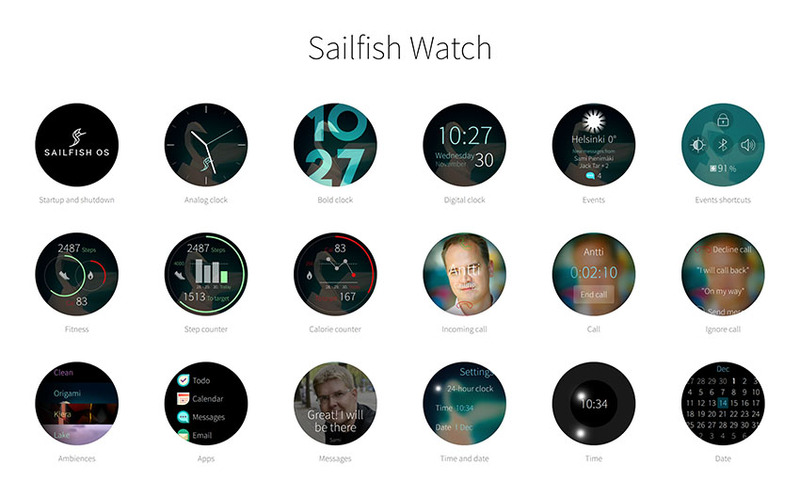 Jolla has been working on a software for Android smartwatch that is based on Sailfish OS. Even though software doesn’t share the same name as Jolla’s main OS, it has all the elements of Sailfish in its nicely done UI and other elements. Jolla used open source OS for smartwatches called Asteroid and created everything in just a few weeks. The whole project was led by Florent Revert, and first demo happened at this year’s SLUSH event. In addition to the Sailfish UI layer there is a toolkit of scalable common components, gestures, layouts, animations, icons, fonts, and localization enablers for creating fluid and beautiful user experience. Check the demo of the Asteroid with Sailfish UI on the LG G Watch Urbane. Jolla also mentioned that they aren’t giving up the hardware and that they are preparing something new for the community and fans. Maybe beside smartphone and tablet we will see Jolla smartwatch? I know I would love to see it getting presented right net to the Nokia’s smartwatch, like N1 tablet was presented together with Jolla tablet back in 2014. More information about the project you can read on the official Jolla blog.